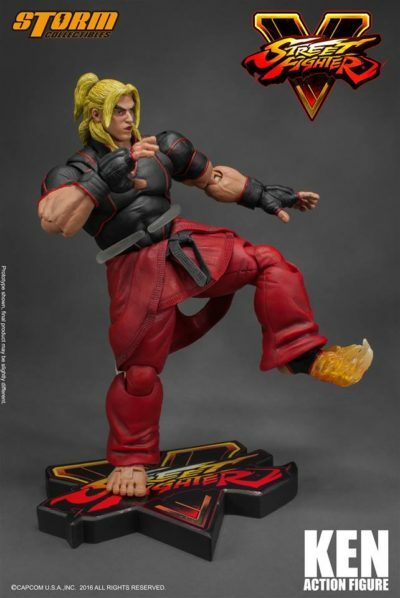 Storm Collectibles is honoured to work with Capcom to produce a series of the world most popular combat video game - Street Fighter, for high quality action figure. 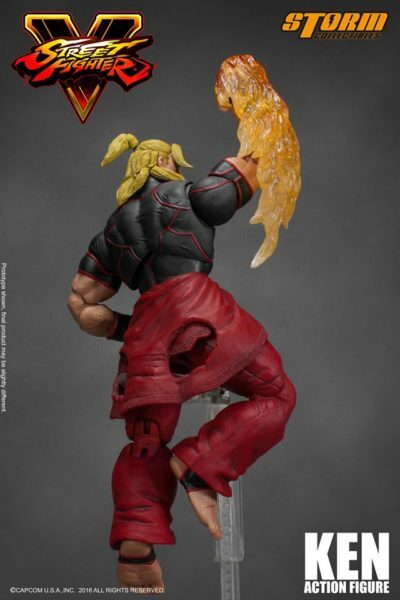 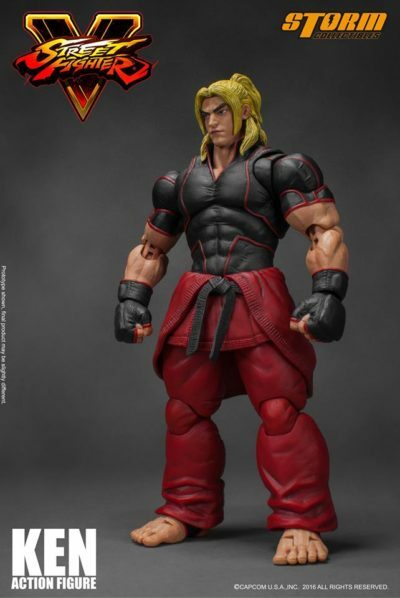 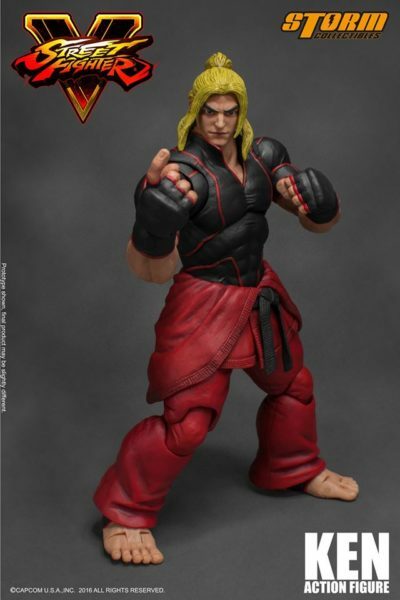 Our third upcoming character for Street Fighter V series is Ken Masters (??·?????). 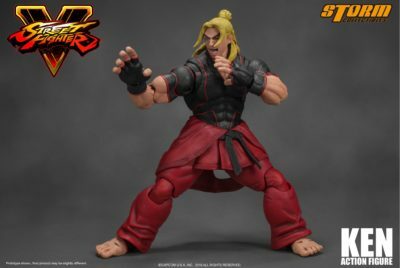 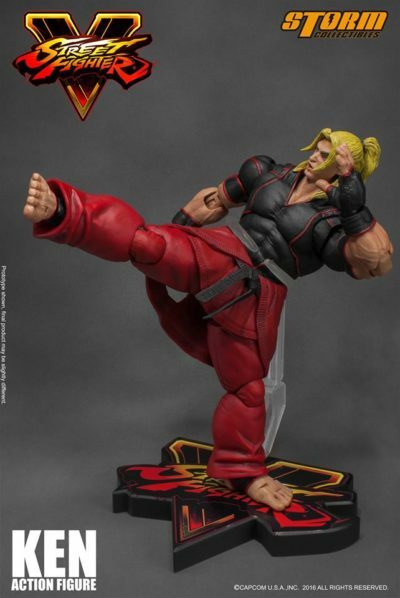 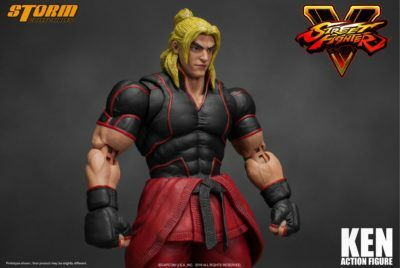 Street Fighter V has created a brand new look for Ken - his hair has tied back, the half-off red karate gi is topped with a black v neck training shirt, his feet wears black ankle wraps and also his new play style - these new designs are the first time appeared in Ken from all previous Street Fighter series. 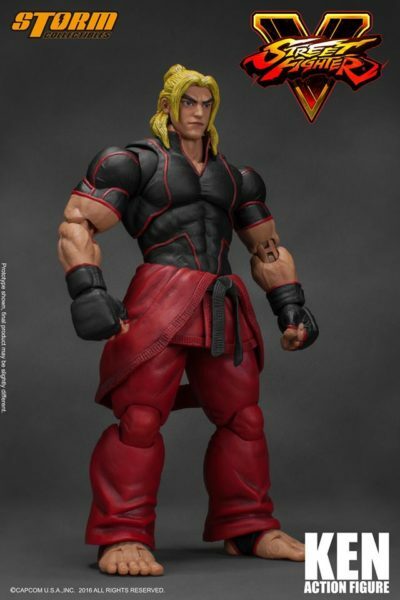 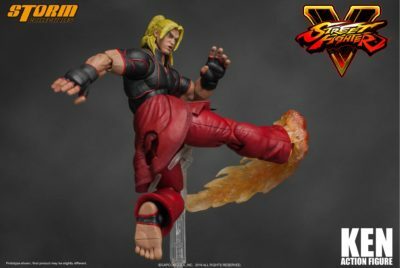 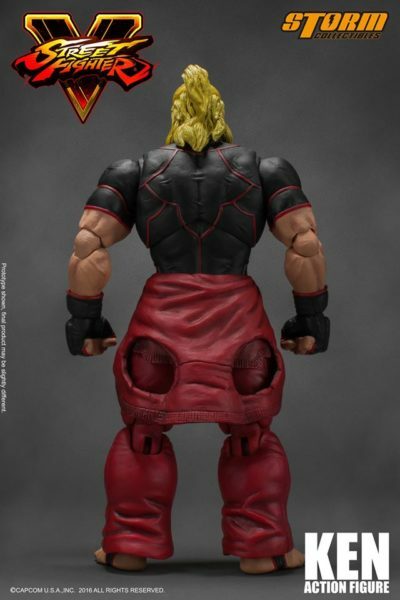 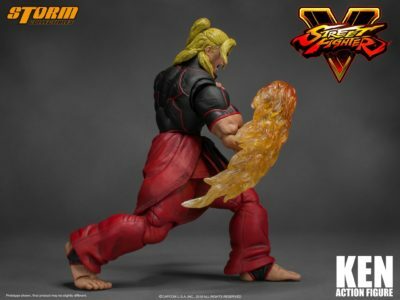 For sure the fans cannot wait to have this new Ken action figure in your collection. 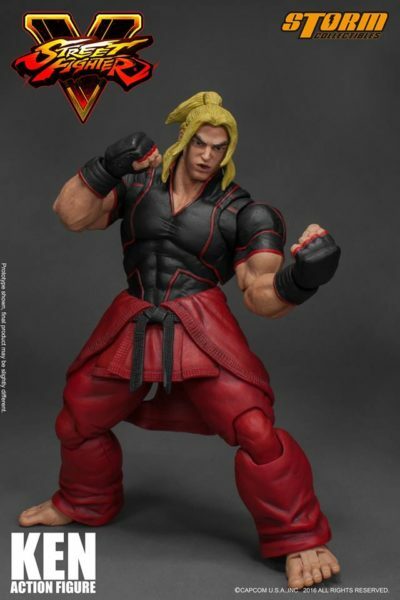 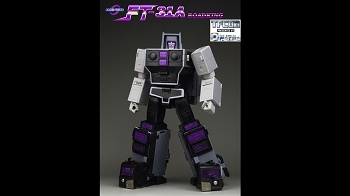 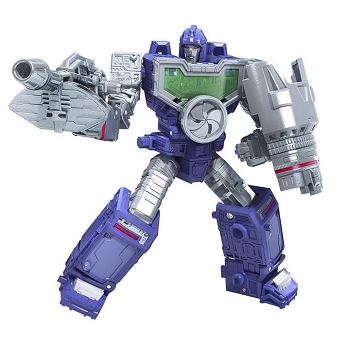 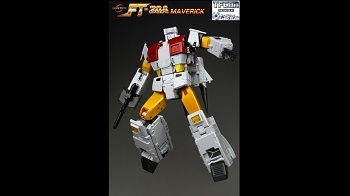 The figure is approximately 177mm tall, with over 30 points of joint that able to pose Ken special moves.